The UK’s vote to leave the EU has raised many questions about the future of resource policy in the UK. With much of the UK’s current policy framework based on EU Directives, there is an urgent need to develop a post-Brexit resource strategy that meets the UK’s economic and social needs. At the same time, the revitalised commitment to an industrial strategy provides an opportunity to help UK businesses increase their global competitiveness through increased resource productivity. 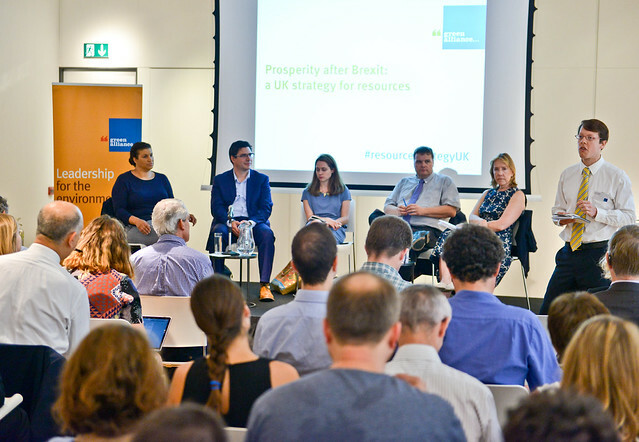 To help shape Government thinking on its strategic approach to resources, Green Alliance hosted a discussion with business leaders on what the objectives of UK resource policy should be and how the industrial strategy can help achieve these. You can see the highlights from the event in our Wakelet.